When picking out products as an expectant parent, the sheer number of decisions you have to make quickly becomes overwhelming. You are tasked with selecting all the personal items, large and small, that a little creature is going to use, and you haven't even met him/her yet! So when picking a thermometer you may be wondering what criteria you could possibly be selecting on. Let me make this really easy for you - you want the fastest thermometer you can find... full stop. 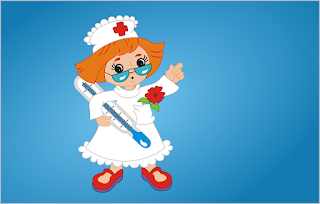 You may have figured out by now that you will be taking that child's temperature rectally. (You may have read that you can take a baby's temperature in the ear as well... this is baloney. If you take a baby's temperature in the ear and call your pediatrician they will politely ask you to retake it elsewhere.) So, holding down a potentially sick and definitely angry kid is going to be unpleasant. Do yourself, your kid, and your neighbors a favor and get the fastest thermometer you can find. On this score we have tried 2 different brands: the ADC ADTEMP V Fast Read Digital Thermometer and the Vicks Baby Rectal Thermometer . I can tell you with full certainty that the Vicks Thermometer is very much the winner here on speed. Other than that, they're both totally adequate, but really, speed is your friend here.